Estée Lauder partnered with experience augmented reality group ModiFace to create a chat bot that customers can interact with to sample lipstick. The chatbot operates on Facebook Messenger through a mobile device by using a live video feed. During the live video, customers can simply choose the lipstick they want to virtually try on. Before starting the video, customers can take a quiz to prompt the chat bot to locate lipstick products based on their answers rather than aimlessly searching. 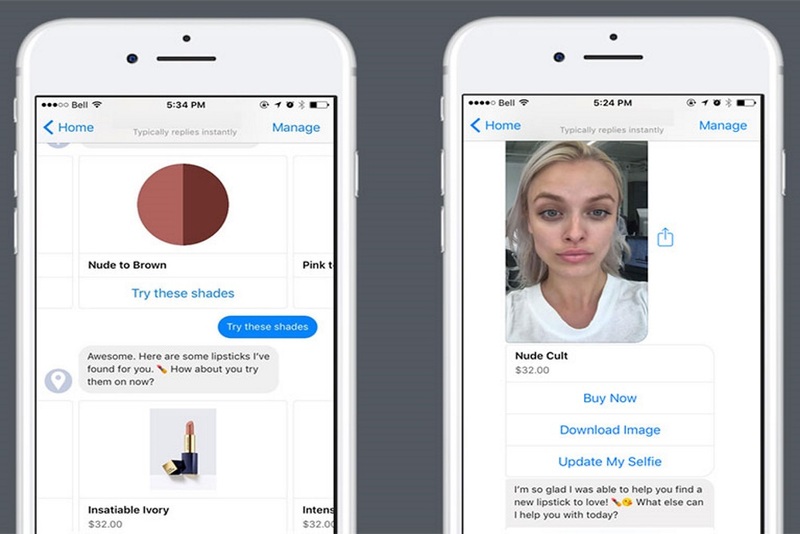 If customers already have a product in mind, they can send a picture of it to the chatbot who will locate a similar product Estée Lauder product. This was the not the first AR app Estée Lauder customers have had the opportunity to try. In May, the beauty care company launched a similar application on their website where customers could submit a picture of themselves to virtual try on different shades of makeup.